The DMG image format is by far the most popular file container format used to distribute software on Mac OS X. Here’s how to convert a DMG file into an ISO file that can be mounted on a Windows PC. First head over to this website and grab yourself a copy of dmg2img by clicking on the win32 binary link. 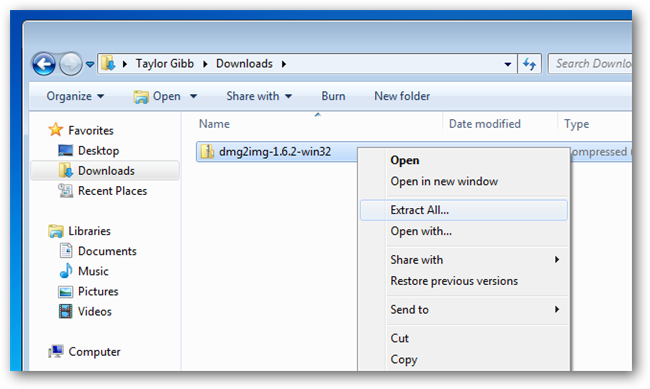 Once the file has downloaded, open your Downloads folder, right click on the file, and select extract all from the context menu. 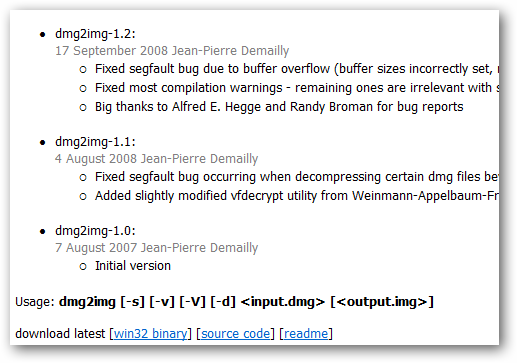 You will then be asked where you want to extract the binary to, extracting it to your Downloads folder is fine for now. 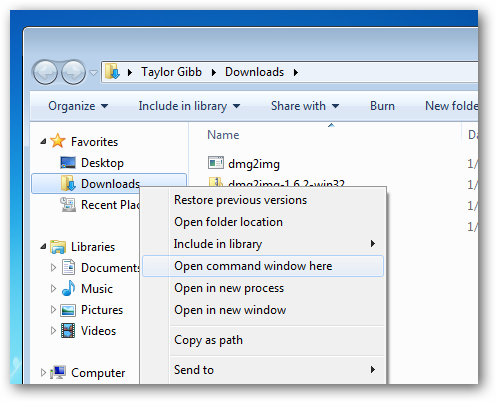 Now hold down shift and right click on your Downloads library, then select open command window here from the context menu. Note: I am enclosing the paths in quotations because I have spaces in my file paths, they are not required if you don’t have spaces in your file paths. Once you hit enter your file will be converted. 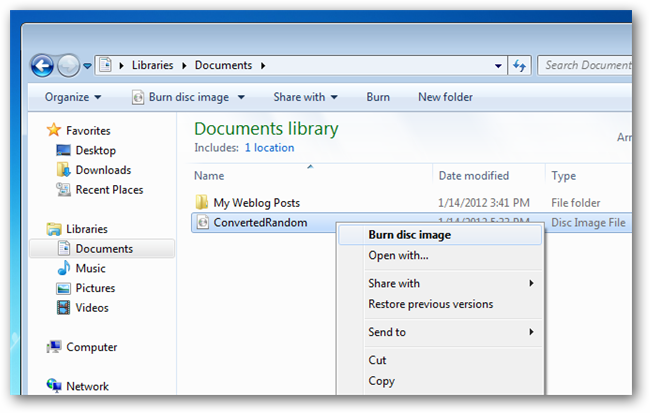 You can now burn the ISO file to a disk. There are plenty of other tools that claim to help you convert DMG files, however this is the most reliable way I have come across. 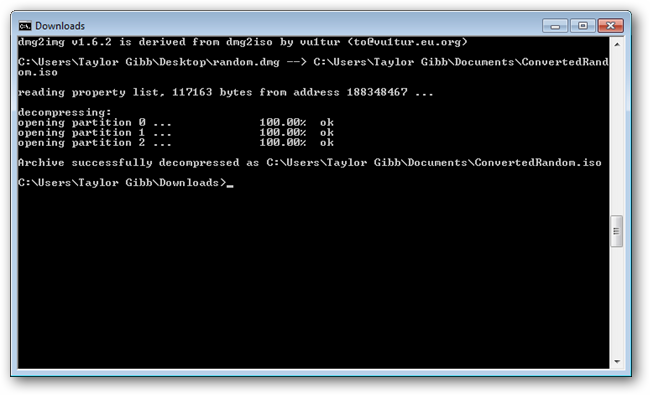 Have you ever needed to convert a DMG file? Let us know how you did it in the comments. 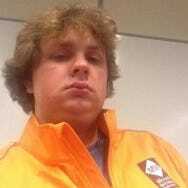 Taylor Gibb is a professional software developer with nearly a decade of experience. He served as Microsoft Regional Director in South Africa for two years and has received multiple Microsoft MVP (Most Valued Professional) awards. He currently works in R&D at Derivco International.